The ePOWER Industrial Battery Charger is available in three output voltages, 24V, 36V and 48V for usage in applications such as electric vehicles, fork lifts, floor cleaning machines, golf carts, and electric mobility scooters. 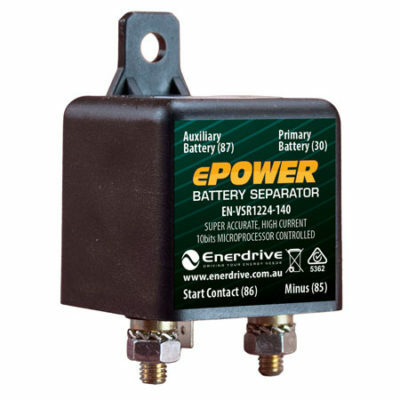 Enerdrive’s ePOWER Industrial Battery Charger is built to withstand vibration and exposure to dust or moisture typically found when used in typical on-board or industrial applications. Charge Algorithm updates and downloadable charger data logs are easily accessible via the use of a USB memory stick. Programmable Charging. A USB host port allows for charger data logging downloads and charge algorithm uploads using a commonly available USB flash drive. This information can be used by OEMs to improve products, limit battery warranty claims and help technicians with troubleshooting issues. Battery Charging Flexibility. 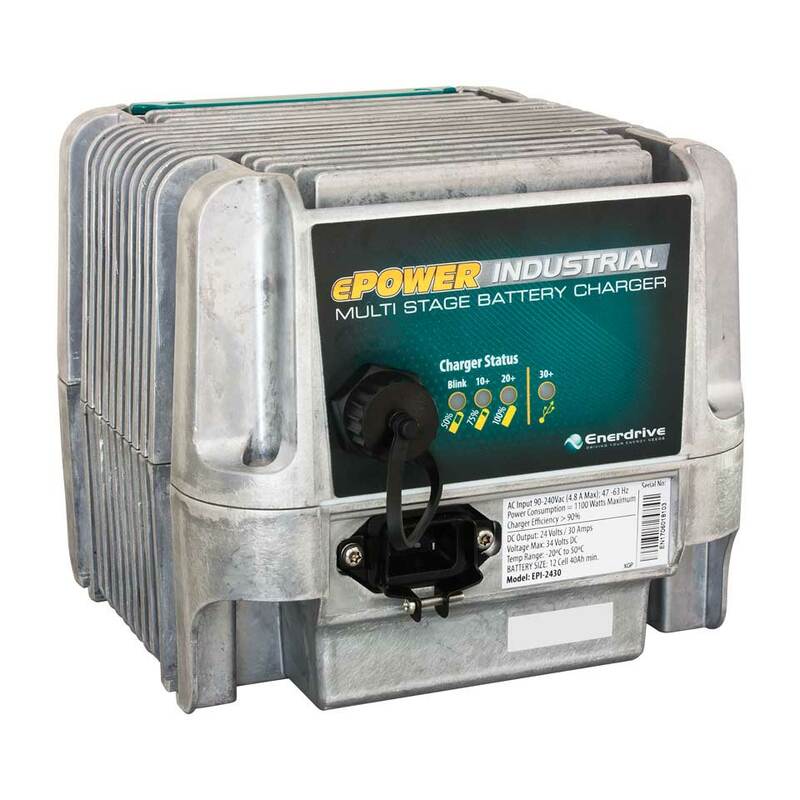 With over 25 algorithms to choose from that suit 90%+ of the batteries on the market today, the ePOWER Industrial charger also has the ability to create full custom algorithms to suit any type of lead acid or lithium battery. 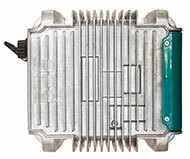 The charger is optimized to provide precise battery charging of different battery chemistries and battery manufacturers. These charge profiles allow charging to occur quickly and carefully, maximizing battery life and performance.